Christmas on Deery Street & Other Seasonal Stories is a collection of uplifting, delightful tales of the season from Steven Roberts. The story that opens this collection tells of the day that Frank Robinson brought Roger home because “everybody’s gotta have a place to go on Christmas Eve.” And word soon spread throughout the neighborhood that anyone who didn’t have a place to go on Christmas Eve would find a place at the Robinson’s house on Deery Street. As the neighborhood changes and the children grow and move away, the gatherings on Deery Street get smaller and smaller, until a set of twins shows up at Frank’s door and it’s Christmas on Deery Street all over again. Magic Socks finds Katie looking for the magic Christmas socks that will help her remember her lines at that night’s Christmas play. After her frantic search does not turn up her magic socks, a frightened Katie goes to the play. When Katie’s halo falls off right before the big scene, she tells the story of Baby Jesus in her own special way, and discovers that the magic was hidden inside her all along. And in The Angel of Union Station, a snowstorm traps Army Captain Sam Kennedy at Union Station. With the help of a friendly janitor, Sam might just be able to reunite with Jessica and ask her to marry him. In Christmas on Deery Street & Other Seasonal Stories, Steven Roberts has created a collection that personifies Christmas as much as roasting chestnuts on an open fire. Every story in this collection reminds you of the love and friendship that surrounds the season and warms your heart with just how wonderful life can be. 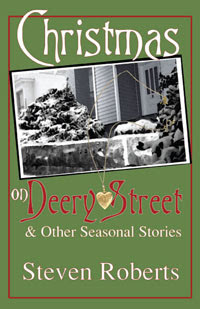 Christmas on Deery Street & Other Seasonal Stories is destined to become a holiday classic. Heart-warming, charming, and full of nostalgia, While Shepherds Watched: Stories of Christmas Miracles and Mysteries will touch your heart. This short story collection by Steven Roberts is full of stories that remind the reader of the true meaning of Christmas. Gabriel’s Trumpet opens this collection. It is the story of a young aspiring musician who wishes to play the trumpet, but finds himself saddled with a Model 2353 Hohnica Keyboard Accordion, which he loathes. But to please his mother–who bought him the darn thing in the first place–Georgie takes his music lessons and learns to play. Broadway Baptist church puts on its annual Christmas program and their guest is Lonnie Latimore, a talented trumpeter who Georgie idolizes. Georgie and his friends accompany Mr. Latimore in a rendition of “Silent Night”. But when Mr. Latimore unexpectedly cannot perform the grand finale, it is up to Georgie to save the day, playing the one instrument he always wanted. Another of my favorites from this collection is The Madam and the Paperboy. Miss Maybelle Boudreaux owns a large house at the end of Third Avenue. Sonny Suffrage delivers the newspaper to Miss Maybelle’s house, but when she suddenly stops paying for her paper, Sonny must pay her a visit, even though he is wary of approaching a woman who is talked about all over town. Sonny gets to meet Miss Maybelle and a budding friendship blossoms between them. Miss Maybelle tells Sonny wonderful stories and he is always amazed at how much she knows about everything happening in town. When Sonny invites Miss Maybelle to Christmas dinner at his house, no one–Miss Maybelle, Sonny, or his family–is ever the same. While Shepherds Watched will make you laugh and cry and hold your family close. Steven Roberts weaves a variety of memorable characters into unforgettable stories which you will cherish like a gift from a special friend. Every once in a while the backstory threatened to take over the present day action, but none of it was wasted. Each person and story was fully developed to provide the reader with an enjoyable conclusion. If your family tradition includes the reading of heart-warming tales of the season, then you must buy While Shepherds Watched by Steven Roberts. 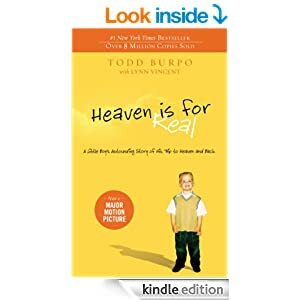 It will be a book you reach for year after year.